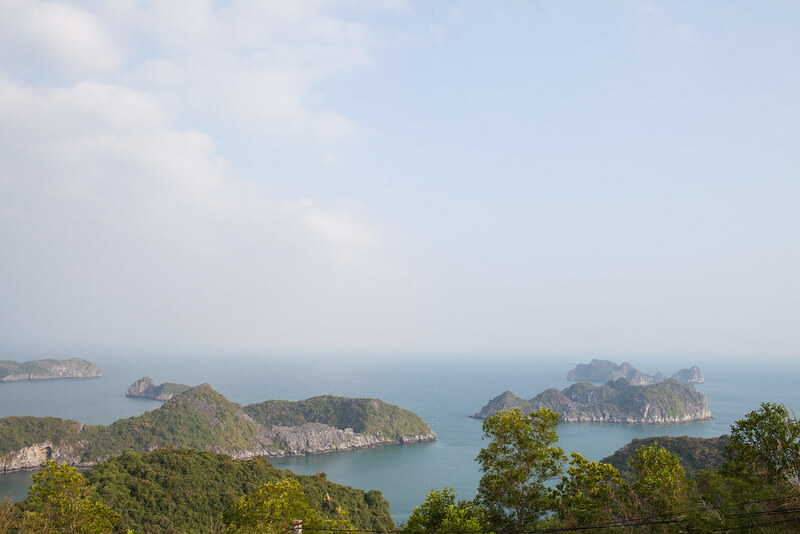 If you’re planning a trip to Halong Bay, I would recommend staying on Cát Bà Island rather than in Halong City. 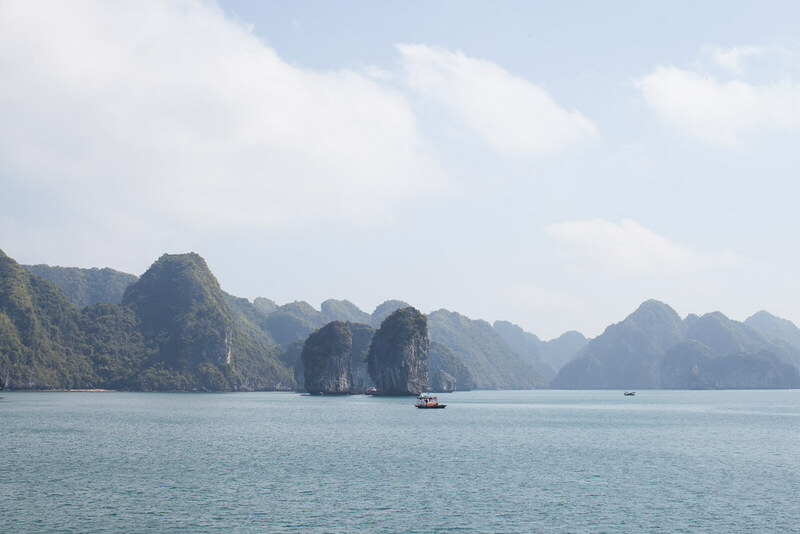 Cát Bà is the largest island in Halong Bay and is an island of rugged beauty and jungle-clad interiors. 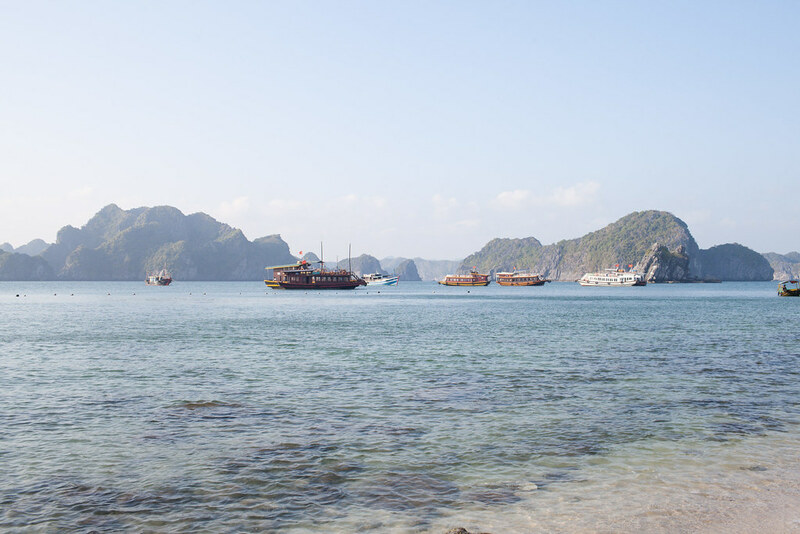 From there you can organise boat trips around Halong Bay and also less-explored Lan Ha Bay. The island is mostly made up of national park with enormous limestone karsts dominating the interior, but its coast is fringed with white sand beaches. This guide covers all of the activities and fun to be had on the island. Cannon Fort boasts breathtaking views of the island and the limestone karsts out at sea. The peak can be reached by foot or by moped, but either way the panorama which awaits will not disappoint. Hire a moped to get around the island at your own pace. The island is bigger than you might anticipate and if you want to explore more than just the beaches, a moped is a necessity. Even if trekking isn’t your thing, a visit to the national park is a must. 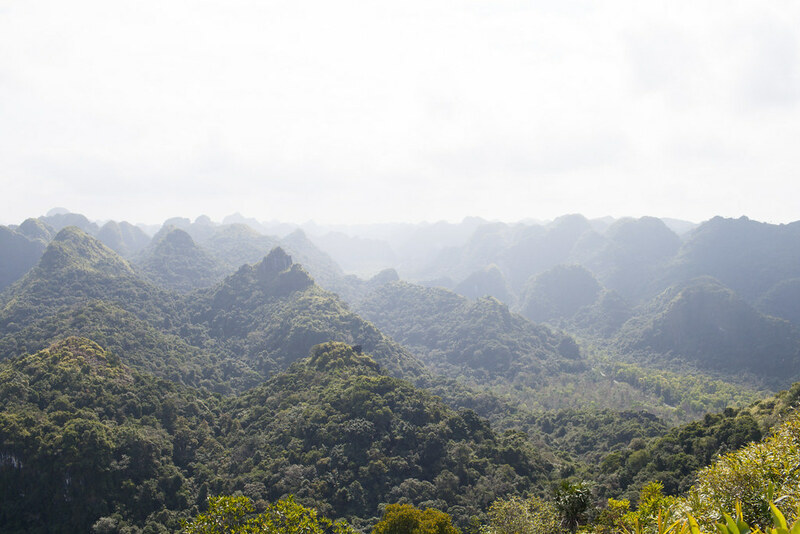 Limestone karsts tower above the jungle-clad national park making it a breathtaking site. It takes about an hour to reach one of the peaks, but the views at the top are worth every step. For those who do enjoy trekking, all-day hikes can be organised. 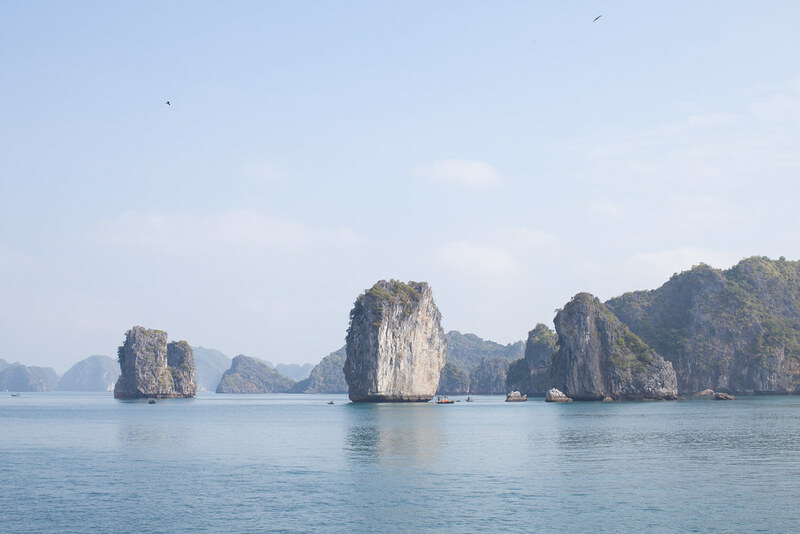 Boat trips to iconic Halong Bay can easily be organised from the island. 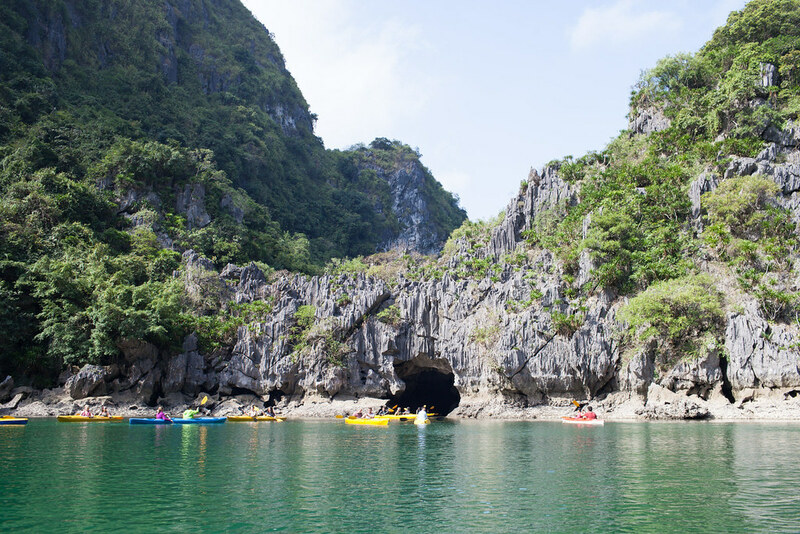 Usually the boat trip will last all day and include a visit to Dau Go Cave, kayaking and scenic cruising through Halong Bay. 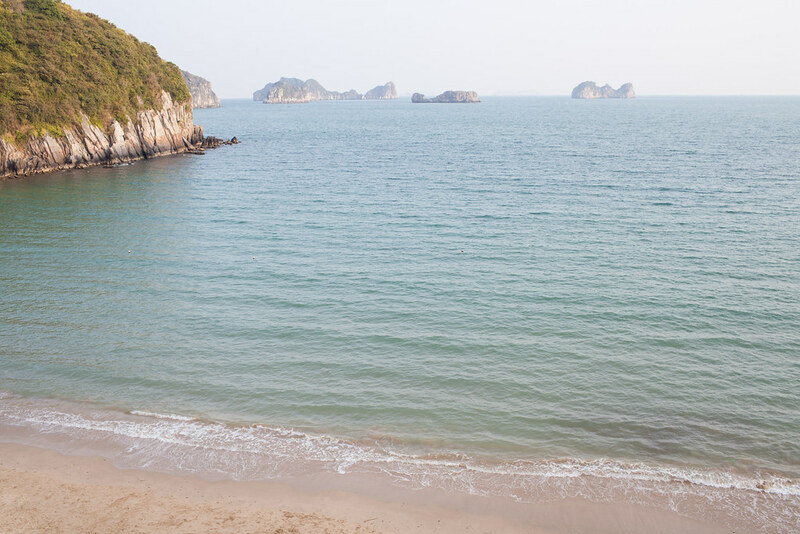 Lan Ha Bay is Halong’s best-kept secret. 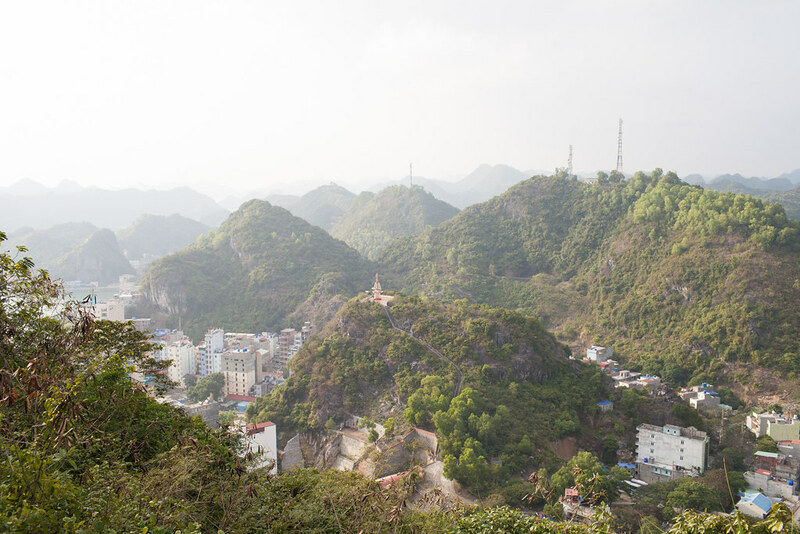 It’s just as beautiful as Halong Bay, but without the masses of boats and hoards of tourists. For those seeking a more private experience, I would highly recommend heading here instead of Halong Bay. I personally found it to be much more beautiful and peaceful. If you do one of the aforementioned boat trips, then chances are there’ll be kayaking included. If not, then kayaks can be hired for a small price and you can explore the nearby islands and private beaches at your own pace. The island is home to three main beaches which are all pretty small and also pretty vacant. With barely a soul on the beach, you’ll feel as though you have your own private cove. I would recommend walking the footpath from one beach to the next, with beautiful views over the bay. As the name would suggest monkeys roam this island, but be careful as they’re not all friendly! The highlight is climbing to the top of the island which offers beautiful panoramic views at the top. 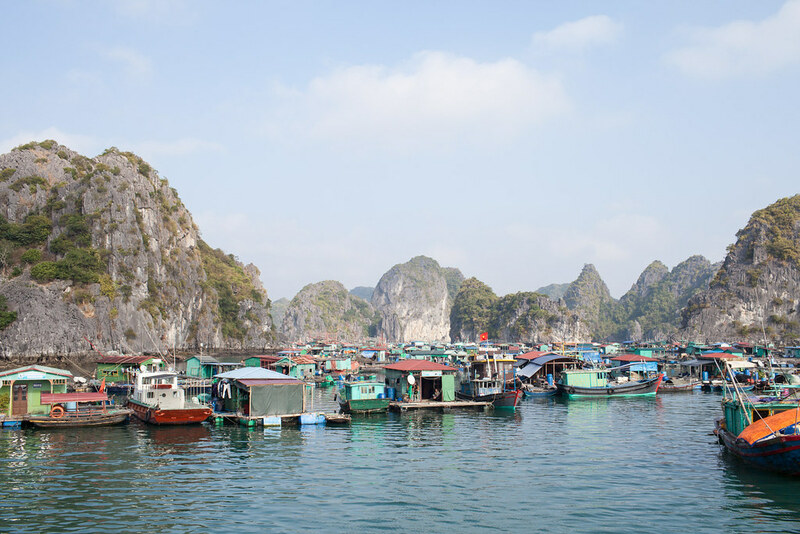 For an insight into local life, you can visit the floating village, made up of nearly 200 homes which seemingly float out at sea.